Two weeks ago, I wrote to Crest Nicholson regarding their use without permission of my photograph of the Bethnal Green Mulberry in their leaflets and exhibition for their proposed London Chest Hospital Development. Although I would never have granted them permission, I asked them to pay for the use that had occurred. And yesterday they did so. Last week – in an appalling moment of moral exposure – their response was to attempt to gag my criticism of their development and their plan to dig up the ancient Mulberry tree, as a condition of payment. Yet I reminded them I was under no obligation to accept any conditions from them, whereas they were legally obligated to pay me for their use of my photograph which was in clear breach of the law of copyright. This week, thanks in no small measure to the magnificent support I received from you, the readers of Spitalfields Life, Crest Nicholson realised that they had no option but the pay me without requesting any conditions. Now they have admitted liability, I can consider whether to pursue action for damages. 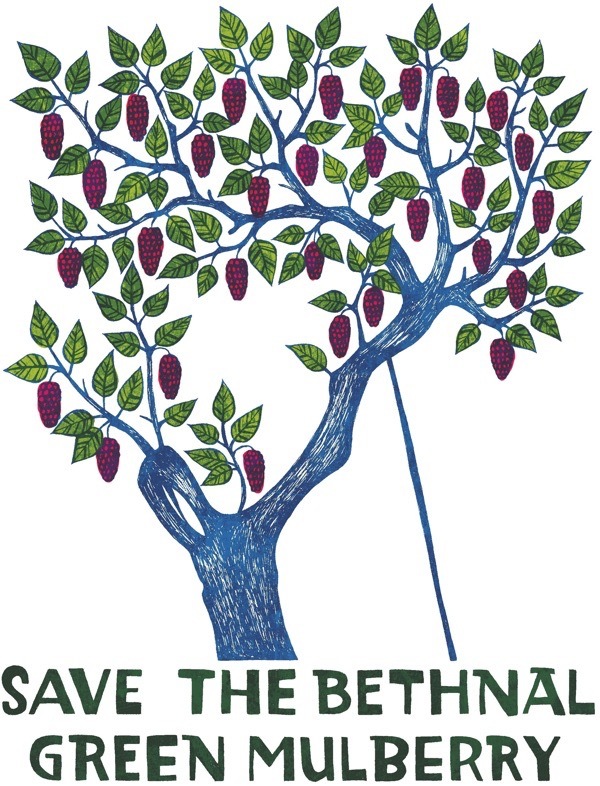 In the meantime, there is a still time to write a letter of objection to their rotten London Chest Hospital development which includes digging up the Bethnal Green Mulberry. You will find a helpful guide below that explains how to write an objection which carries legal weight. This is a simple guide to how to object effectively to Crest Nicholson’s application to redevelop the former London Chest Hospital in Bethnal Green. Tower Hamlets Council will accept emails and letters until the Hearing of the Application, which is likely to be in March. Please send comments as soon as possible to be sure they are included in the planning officer’s report. It is important to use your own words and add your own personal reasons for opposing this development. Any letters which simply duplicate the same wording will count only as one objection. Be sure to state clearly that you are objecting to the application. If you do not include your postal address your objection will be discounted. Points in bold are material considerations and are valid legal reasons for Councils to refuse Applications. The level of social housing is below 28%, too far beneath the Mayor’s target of 50%. The application proposes to demolish the Grade II listed 1860s south wing, causing harm to the designated heritage asset, and would therefore fail to comply with Paragraph 66 of the Planning (Listed Buildings and Conservation Areas) Act 1990; National Planning Policy Framework paragraphs: 126, 131, 132, 133 and 134; as well as Tower Hamlets Local Plan Policy SP12. The proposal would see the roof structure of the listed buildings unnecessarily rebuilt with new materials, involving the loss of original historic fabric when the applicant’s own survey notes that the chimneys are in ‘good condition’, and that the roof is ‘in a sound condition’. As such National Planning Policy Framework paragraphs: 126, 131, 132, 133 and 134 should be applied. The development will damage the Victoria Park Conservation Area. The conservation area appraisal notes that: ‘Landmark institutional buildings generally sit within their own landscaped gardens, in keeping with the open character and setting of Victoria Park. The London Chest Hospital, opened in 1855, is the most significant of these buildings, in terms of its presence in the urban environment’. The construction of large blocks beside the London Chest Hospital will deprive a landmark listed building of its open landscaped space and destroy the character of the conservation area. Paragraph 72 of the Planning (Listed Buildings and Conservation Areas) Act 1990, and National Planning Policy Framework paragraphs 137 and 138 should therefore be applied when considering this application. Deep concerns exist over the proposed digging up of the ancient Mulberry Tree and the unlikelihood of its survival if it is moved. No credible evidence has been put forward that this tree, which is subject to a Tree Protection Order, is not a veteran tree. Paragraph 197 of The Town and Country Planning Act 1990 states that local planning authorities, ‘must ensure, whenever it is appropriate, that in granting planning permission for any development adequate provision is made, by the imposition of conditions, for the preservation or planting of trees’. The attempt to gag you was very silly. Hello Gentle Author. We are pleased Crest Nicholson has now seen sense regarding payment for the use of your photograph and that they realise their initial reaction to your request was not right and did not show the company in a good light. The reasons we back you in this isn’t because you write such an excellent blog that brings so much happiness, awareness and many people back together again across the globe, but because there so many conglomerates like Crest Nickolson in London today taking liberties by their harsh dictorial stand against the people of London, robbing them of their rights to thier home City as well as their rights in other issues. We as a society can not sit back and watch this happen. Yes money talks but so do we the people and we will not stand by to be dictated to by the Conglomerate Money Machines. We wish you well in what ever decisions you rightly decide to take regarding your photograph and agree with your stance on the life of the Historic Bethnal Green Mullberry Tree, which my family and I are honoured to sign the petition to keep and to protect the tree that has stood in its place overlooking Centuries of London life. In South Australia (my home state) we have a gum tree which has been carefully preserved in the belief that it was under this tree that the proclamation of the state was read out for the first time. The tree is no longer even alive but it has still been preserved. The mulberry tree is every bit as important as that gum tree and I am certain that it could be preserved and used as a feature in any future development of the site. Removing a tree of such significance simply because it happens to be in the way shows an appalling disregard of history and is to be condemned. It’s heartening to see that even in today’s mad world clarity of argument supported by the facts, expressed clearly and courteously, can still win the day. You – and your readers – have ardently proclaimed, in respect of the question of the copyright breach, a clear misapplication by Crest Nicholson. Crest Nicholson’s irregular approach to the issue, predisposed to be incorrect in law, rendered their written response to you misguided and, yes, absurd. One might hope that, having been exposed to a very public ‘dressing down’, their legal team might, now, henceforth, respect and advocate proportionate and equitable response in all their manoeuvres … but, sadly, pigs don’t fly. Being from the USA, so sorry that I cannot sign the petition. Wishing you justice and luck in your so far successful quest. I have voiced my opposition to Tower Hamlets. You must keep a positive attitude, but the number of causes that need fighting against the money drunk developers does tire. I tried to explain the cultural value of this tree to the local people and the need to have these links with an area’s past. The feeling of belonging and place history gan give. Well, you can but try. Good Luck with the campaign! Splendid! Would buying a couple of shares in Crest Nicholson allow you to raise this development at their a.g.m.? If so, how much would it cost, I wonder. I’m glad that they have dropped their threats against you. They are the ones in the wrong after all! You should definitely claim for unauthorised use of your property, as I assume from your post that all they’ve done is admit unauthorised use and not paid you a penny. I’m not anti-capitalist by a long shot, but I cannot stand corporate bullies. Well done and keep up the fight! What justifies going for damages is the fact that use of your photo implied support from you and who knows how many recognised it as being your photo and thought less of you for it. People would assume Crest had asked and you ‘sold out’ to them. Damage to reputation! Go for it! Well done. Carry on the cause. You’re doing a great job and I’m right behind you. Well done. But it does suggest that their tactics are a way of life for them and that they rely on bullying to overcome any hurdle no matter how tenuous. If they consulted their legal department first I suggest they get rid of the fool who thought it was a good move. Well done and thank you for telling us that we may have played a small part in making them think again, it proves that it is always worth standing up to such bullies and fighting for justice. I shall be writing a letter of protest later and I have already signed the petition as the destruction of this venerable mulberry tree would be a national disgrace. Keep up the good work GA, we all admire you very much. Well done. We know one person with a passion can make a difference. As I live in New Zealand now, would my objection count? I well remember the chest hospital and I think my sister was there for a while bay back in the 40s. And the mulberry tree? What a beauty and well worth preserving as, in fact, they all are. It seems to m that as Crest Nicholson is totally motivated by money you should pursue them.for compensation for damages. It is clear that people could well have thought that you approved of their actions by their use of your photograph. Well done so far GA. Now they know what they are up against and will no doubt be plotting and scheming their case for the the next round, so keep a tight hold of that sling. We will all be rooting for you and await with great anticipation to the next instalment. Good luck. Too few with your courage these days, mostly we sit and just take what these parasites want to shove at and into us. Congratulations well done and stick it to them! I’d love to have been able to reblog this, I’ve told my followers about this saga hopefully they can find you too. Two letters of objection (mine & partner’s) sent! Collective resistance is the only way to stop mindless destruction in the name of corporate profit. Thank you, Gentle Author. Well done for standing up to these appalling bullies. I’ll encourage friends living nearby to get their views heard. Congratulations on your victory. Large corporations must learn that they have to obey the rules just the same as the rest of us. Please seek an opinion as to whether a claim for damages will succeed. I am sure that your readers will be happy to contribute towards your costs. Be aware though that you would be liable for their costs if you fail. 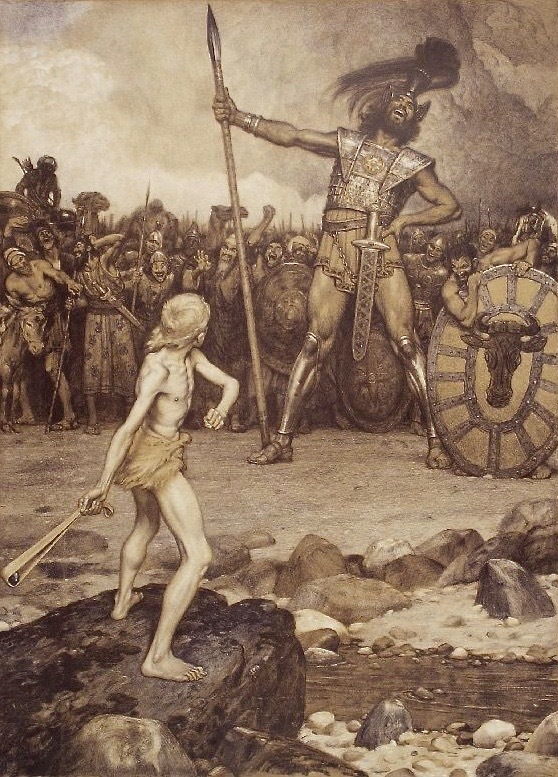 Well done gentle author for taking on the bullies. We’re right behind you! I’m sure you will have seen this article but in case you haven’t …. Westminster city council’s Conservative deputy leader may be the most ‘schmoozed’ politician in Britain, having received free entertainment, meals and gifts more than 500 times in the last three years. Gifts received by Robert Davis include tickets to top West End shows, exclusive dinners at London’s finest restaurants and trips to the south of France, more than 100 of which were given by property developers. Labour has said the extensive list is evidence of a “broken culture at Westminster council”.